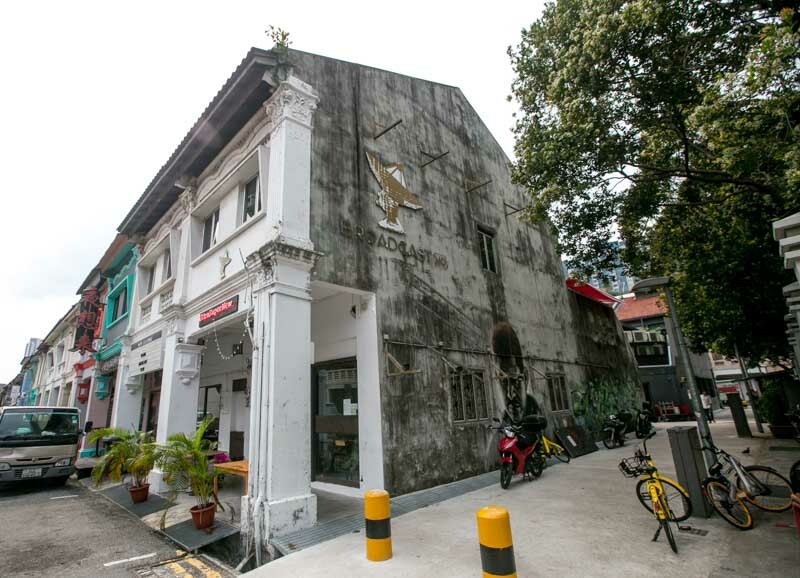 Take a walk along Rowell Road and you’ll find yourself drawn to this retro-looking, time-worn building, which previously housed Broadcast HQ. 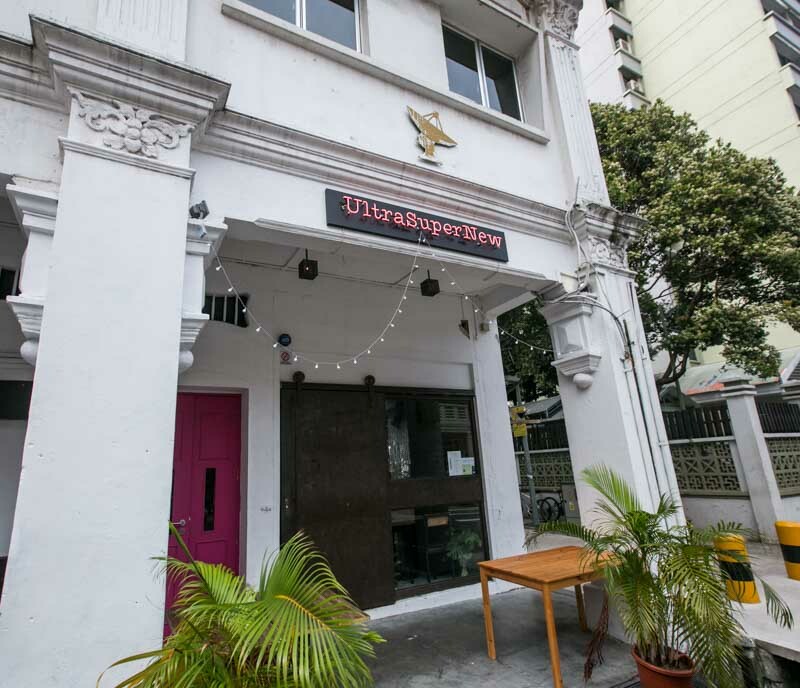 Stepping into this unassuming shophouse, we fell in love with the quaint and small space, which had a rustic charm to it. 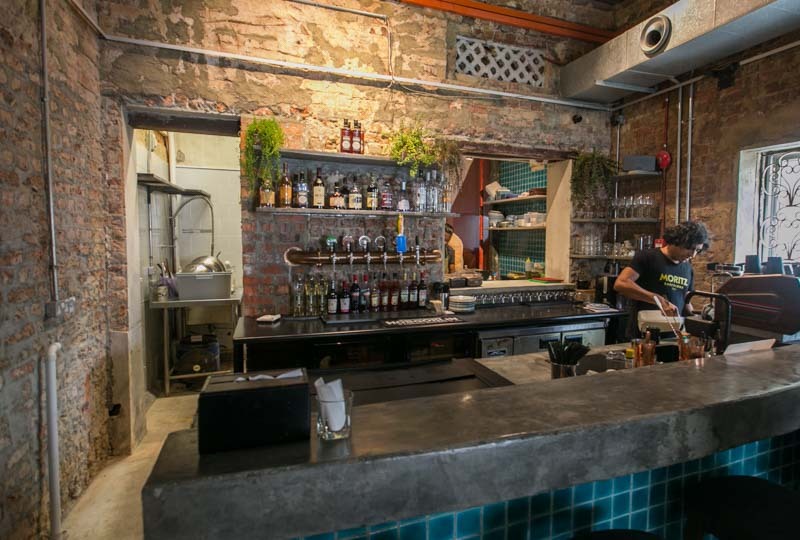 Brought to you by the same folks behind The Hangar, Pav and Giulia, Sideways is a Mediterranean-inspired tapas bar with their very own wood-fired brick oven built from scratch. 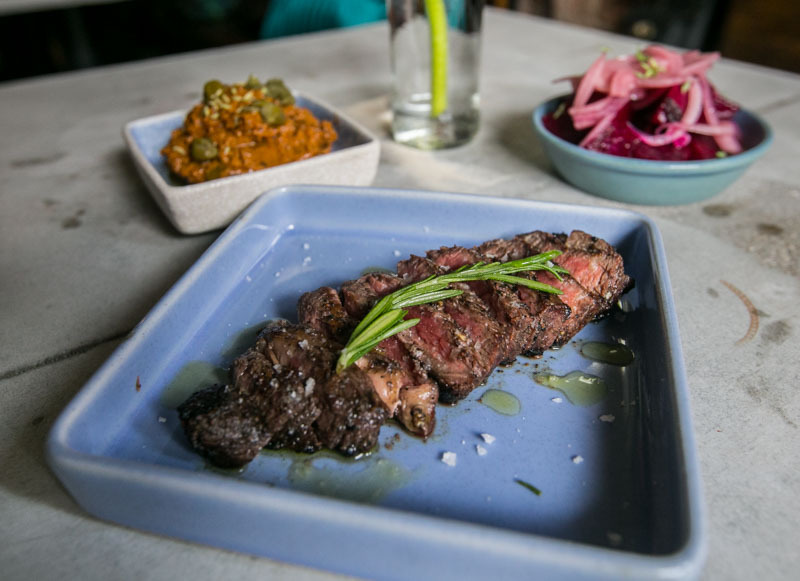 The carefully curated food menu features a variety of cold plates and hot tapas, including numerous gluten-free and vegan-friendly options. 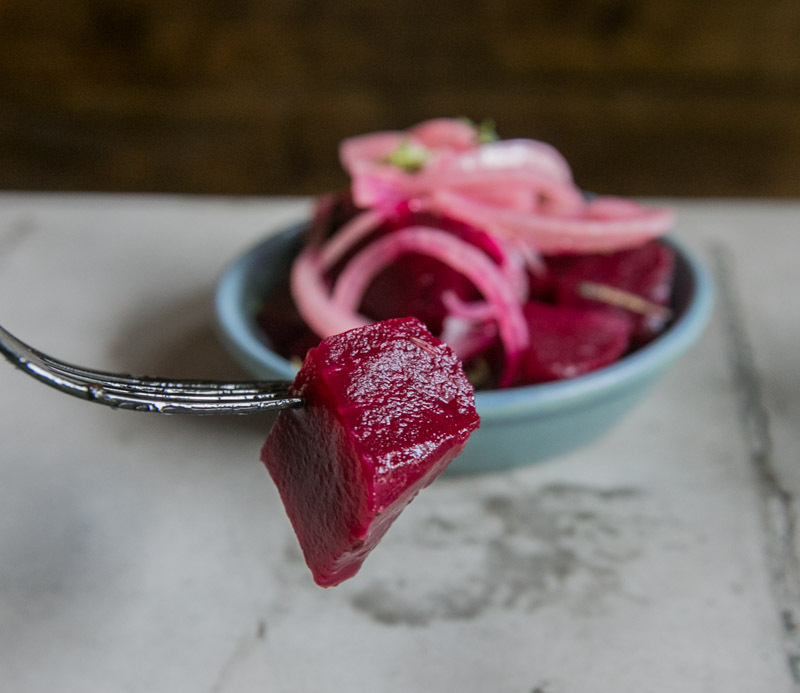 We started off with a plate of homemade Beetroot Pickles (S$7) that was made using white Italian balsamic vinegar. 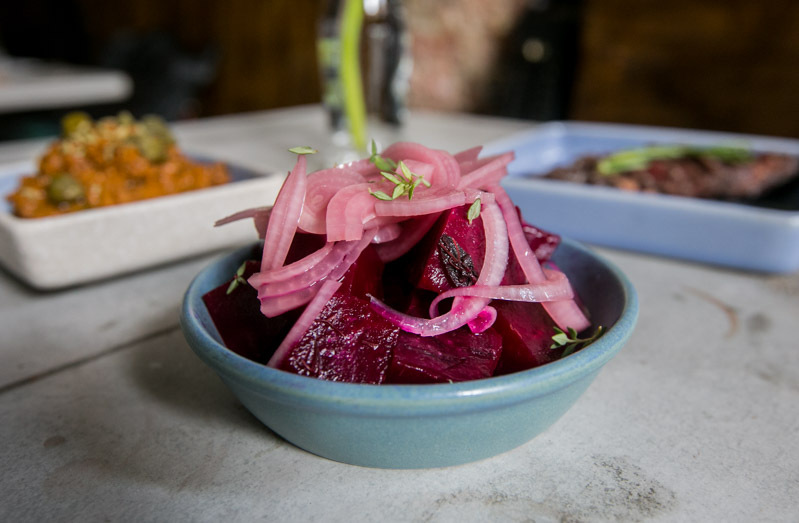 While I’m not particularly fond of pickles, the crunchy slices of beetroot, topped with pickled onions, was the perfect appetiser to get us started. 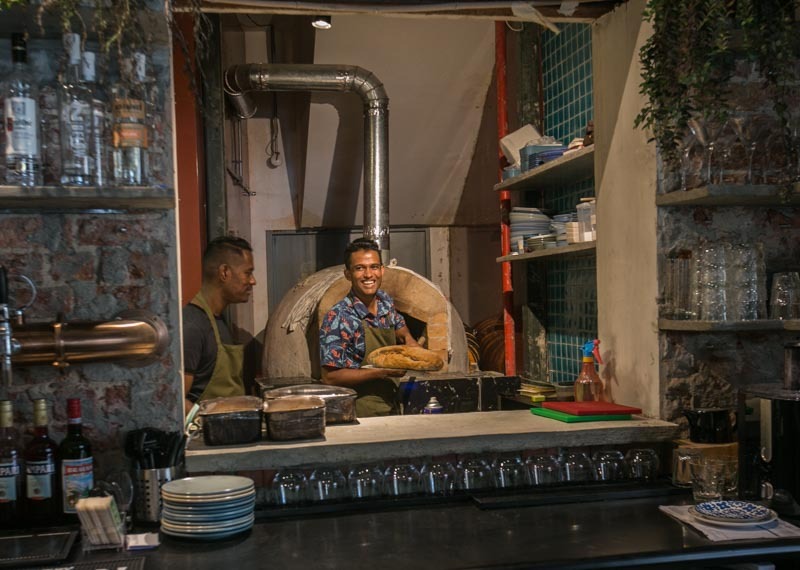 The aroma of the freshly-baked Sourdough (S$4) permeated the restaurant the moment it was taken out of the wood-fired oven. 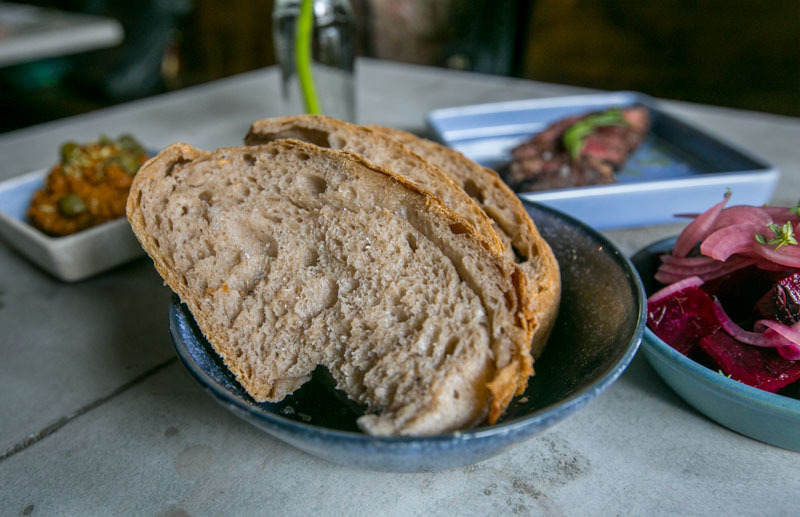 At Sideways, the bread goes through a slow fermentation process and is made with their very own starter, cultivated in-house, along with a mix of rye and white flour. 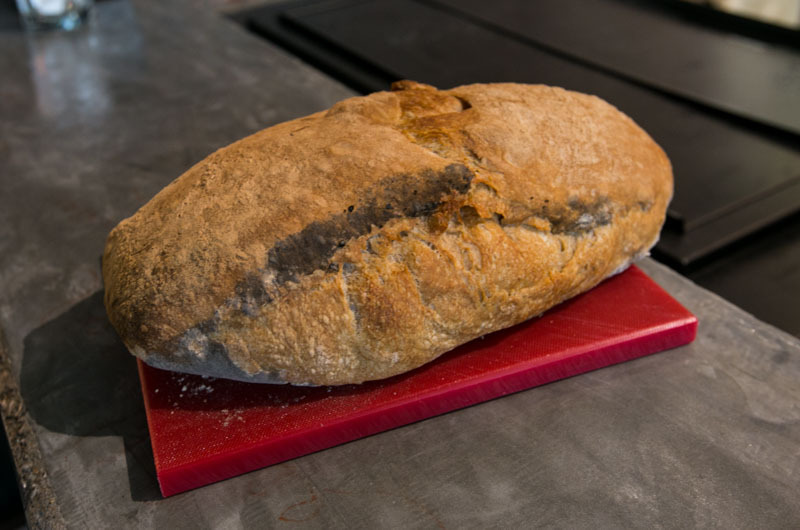 The Sourdough bread was amazing on its own; light and fluffy on the inside, crusty on the outside, and completed with a smoky aroma. 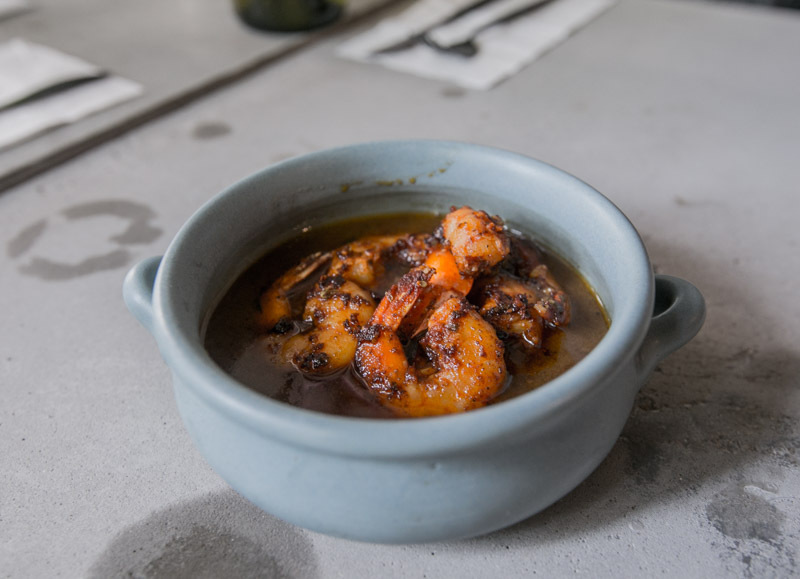 The Shrimp & Basil (S$12) features a piping hot bowl of roasted shrimps in a savoury, garlicky broth made with shrimps shells and fried basil. While the broth may have been a tad too salty on its own, it went perfectly well with the bread. 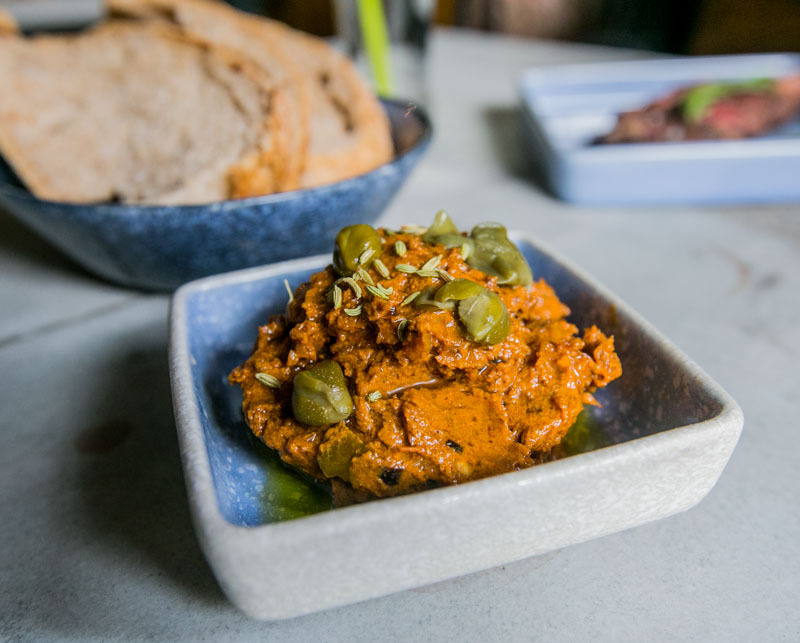 You can also opt for a vegan-friendly dip. 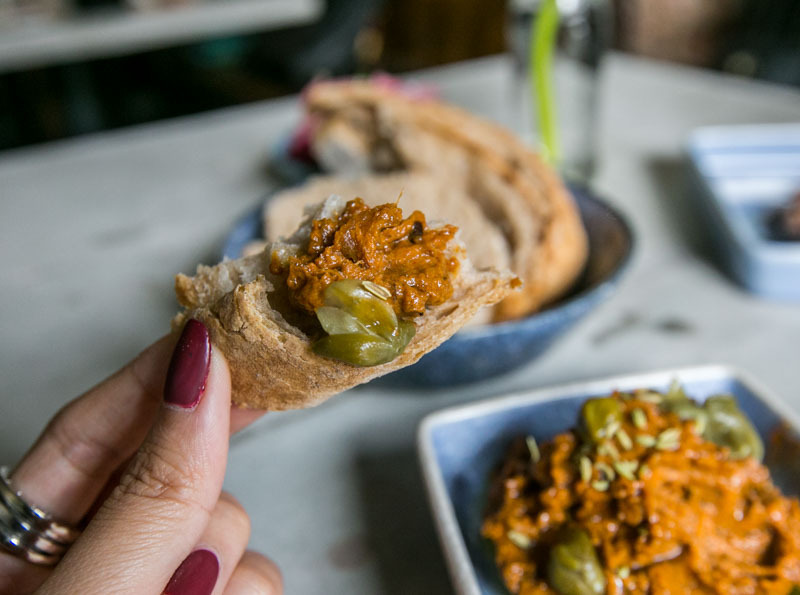 Made with roasted red peppers, eggplants and caramelised onions, the Smoked Eggplant and Peppers Dip (S$9), when paired with the bread, was simply delectable! Next up, we had the Angus Ribeye (S$16), 150g of Australian Angus ribeye steak charred in their wood-fired oven. 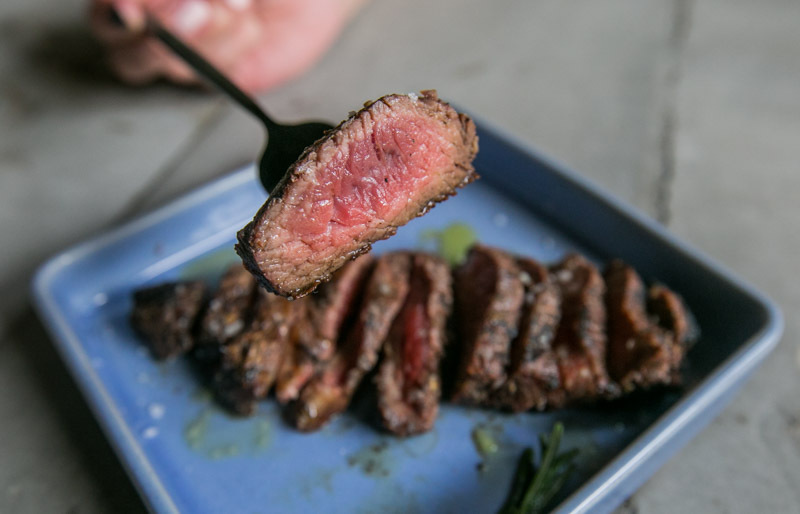 What I loved about it was how the wood-fired oven added a robust smoky aroma and flavour to the slab of meat, yet at the same time, the steak remained succulent and tender on the inside, featuring a lovely pinkish hue in the middle. 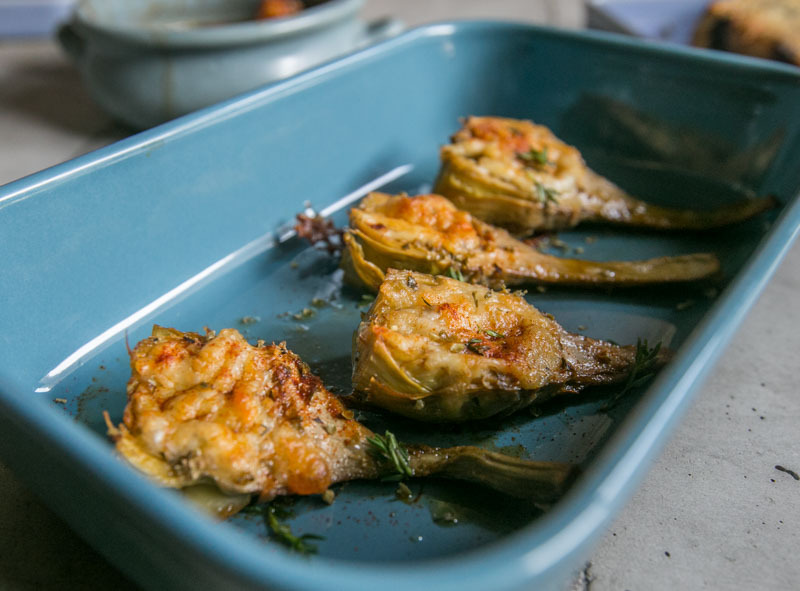 If you’re looking for an equally satisfying vegan alternative, try their Roasted Artichokes (S$9). 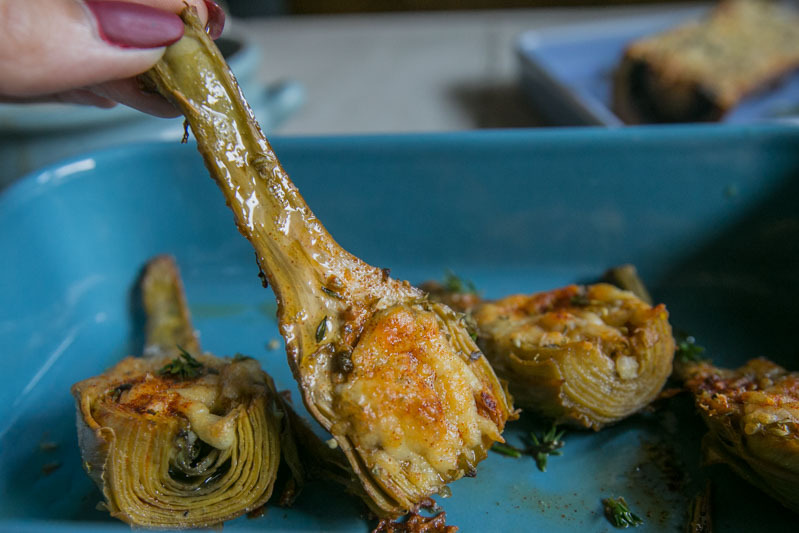 Topped with a layer of mozzarella and garnished with chopped basil leaves, the Italian artichokes are also roasted in the wood-fired oven and had a slight sweetness to it. Like the previous dishes, the smoky flavour was pretty intense. My only gripe was that texture-wise, it was a little too tough for my liking. 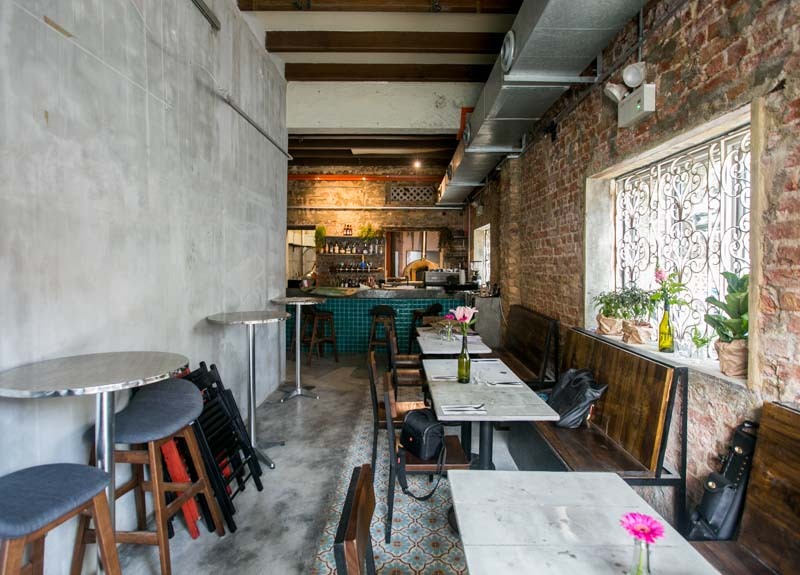 Finally, my favourite of the lot — the Smoked Bone Marrow (S$13), which I was looking forward to before coming to Sideways. 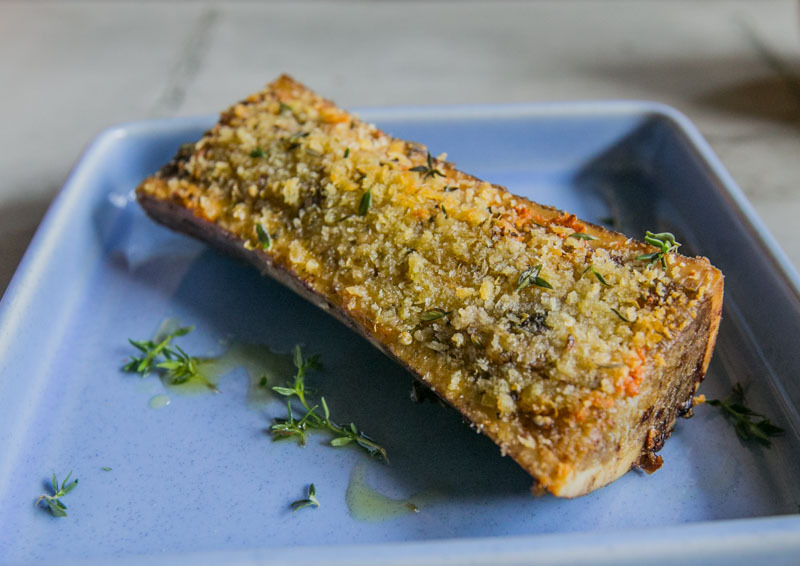 This forkful of buttery decadence was the result of the beef bone marrow roasted in the oven with a touch of garlic, breadcrumbs and thyme. 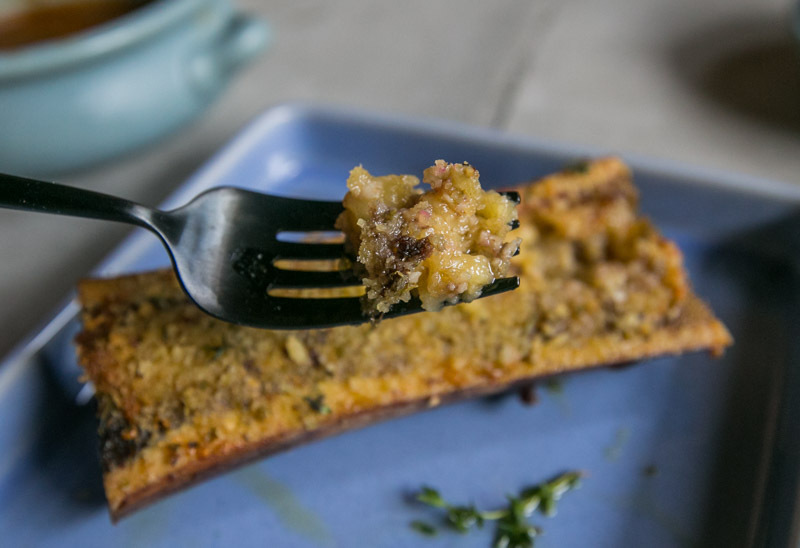 Before we know it, the bone marrow was scraped clean, and I was left wanting for more. 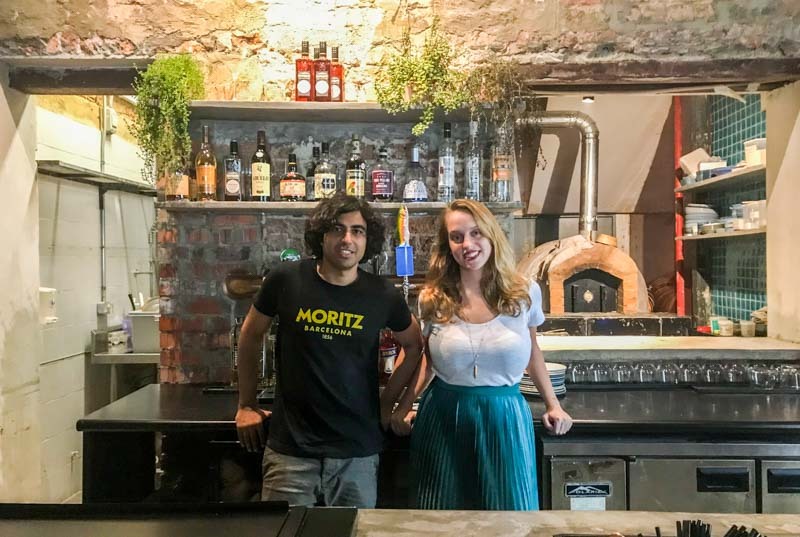 Next time you’re in the mood for some wholesome and honest Mediterranean grub, look no further, ‘cos you’ll be heading sideways.